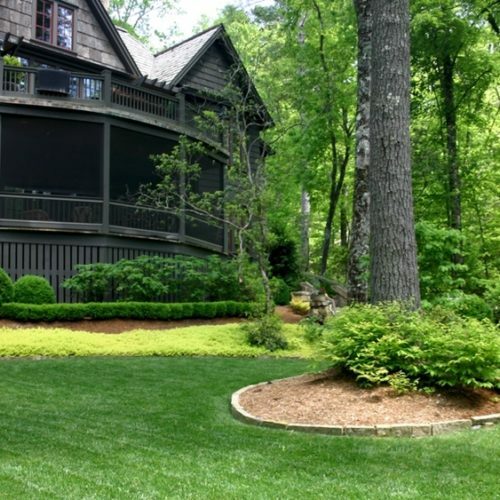 Measuring your lawn isn’t as hard as you’d think. Grab a piece of paper and draw the areas to be sodded. Break up the areas into the shapes listed below. 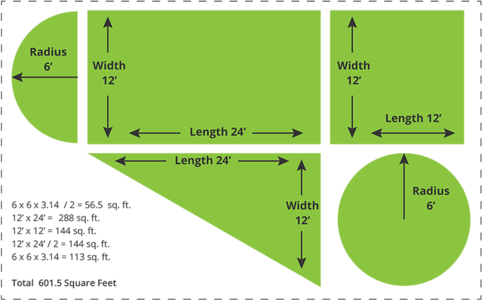 Measure the areas and write down your measurements. Figure out the sq.ft. of your areas based on the equations listed below and total. 6 x 6 = 36 x 3.14 = 113 sq.ft. 6 x 6 = 36 x 3.14 = 113 / 2 = 56.5 sq.ft. 6 x 6 = 36 x 3.14 = 113 / 4 = 28.25 sq.ft.